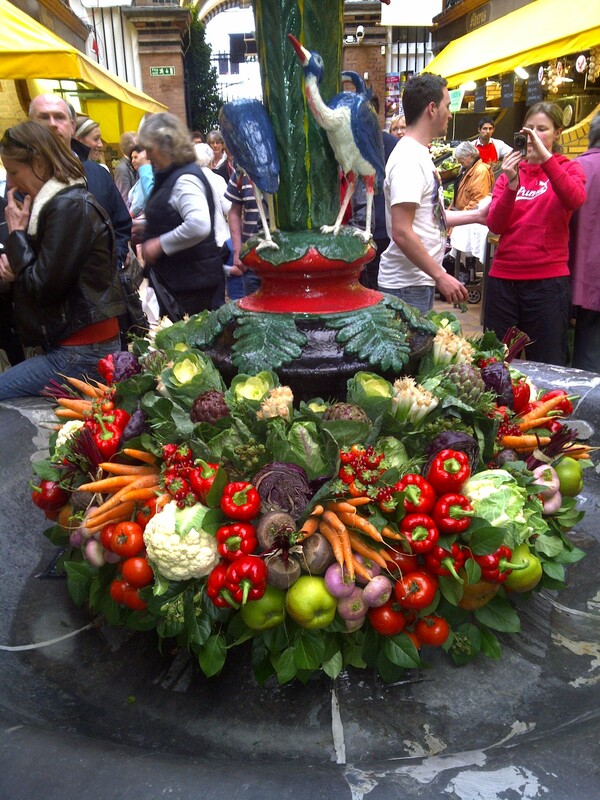 I found a picture of the fabulous vegetable display in the fountain in the English Market in Cork. This is the day of the Queen’s visit to Cork. Last week I paid a visit to Booth’s newest store in MediaCity Manchester. This store is amazing, all the displays are gorgeous, really natural and earthy. All the produce is of the highest quality and is locally sourced. I even spotted Glen Ilen Farm yoghurt on the shelves. They had chanterelle mushrooms, the gold bullion of the ground – that is a first for me to see in a store. Veggie lovers are completely spoiled by the array of produce. What do you think of these…?